Jim Builds Incredible Strength & Shape In Short Period Of Time! Richard Fully Recovered From Operation & Has His Life Back! I have been training with Luke for almost a year now and find his approach very professional indeed. Just before seeing Luke I had a knee operation and part of the programme with him was to rehabilitate it through a number of exercises of varying intensity to both regain the strength and flexibility lost in my leg lost as a result of the operation. After a number of months following Luke's programme my knee and leg are now fully recovered. Luke is a very good and friendly trainer and makes exercise enjoyable and no doubt can provide a programme of fitness so each person can achieve their goals whatever they are. Matt Avoids Surgery and Is Fitter and Stronger than Ever! I have had back and shoulder problems most of my life and was advised by a specialist that I was facing a back operation and needed to strengthen these areas. I approached Luke to discuss options to strengthen these areas before going to surgery. After only a short time of working on these areas with his expertise there to guide me, I have had huge improvements in both my back and shoulder. Since starting training with Luke I haven't looked back and I have not needed surgery and it looks like I never will in the future. My specialist can't believe the difference. With Luke’s guidance and expertise I have gone from strength to strength and I am stronger and fitter than I have ever have been. I would highly recommend him to anyone for any. Thanks Luke couldn't have done it without you. Janine Takes Things To The Next Level! For the past two years I have been training with Luke. Luke is always taking my fitness to the next level which is great and my fitness has certainly improved dramatically in the past two years. Luke knows how to push me to the next level and is always aware of my strengths and weaknesses and encourages me to keep improving. I have always enjoyed training with Luke, especially when they are finished. Simon Packs On Muscle Mass & Achieves Much More! I have always been a skinny guy (too skinny according to some girls) but once I hit my 30s I noticed my metabolism started slowing down and a bit of flab appearing on my body. Years of fast food, smoking and minimal exercise had finally caught up with me and I was feeling lethargic and depressed. I wanted to do something about this and a friend recommended seeing Luke. Luke helped me transition into a healthy lifestyle and actually set goals. I threw away the cigarettes almost immediately as I simply didn't crave them once my body was getting fitter. 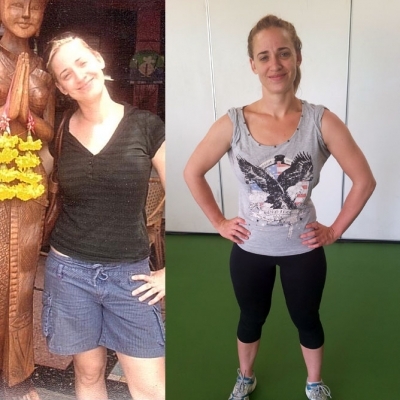 My training program and nutrition was tailored to my specific needs and with those changes my motivation increased dramatically and made me want to achieve my goals even more. Under Luke's guidance I have packed on over 15kg of muscle within 12 months. I am also given direction in what foods I should be eating to maximise my potential as well as what supplements are most beneficial. Being in my mid-30s, I have regained that youthful energy I had as a teenager, feeling better, stronger, fitter and healthier! Bursitis Fixed and Back Pain Under Control! I am a female in my mid – fifties. I suffered from intense back pain due to several bulging discs in my lumbar and cervical area and was hospitalised on two occasions due to severe pain. I also have bursitis in my upper left arm as a result of which I was experiencing unbearable pain. Gradually over last year I was unable to move my arm. I have tried physiotherapy, however this was unsuccessful in improving my condition. After reading an interesting article by Luke regarding strength training, I decided to give it a go. Luke spent time initially communicating to my treating practitioners to attain a greater understanding of my medical conditions and has delivered the results I was looking for. I believe Luke is patient, attentive and carefully gears and monitors the training to meet my needs. After training with Luke for just a few months my bursitis did not cause me any more pain and is much more functional and I can now lift items without going into pain. My back and core muscles have gotten incredibly stronger enabling me to do things I haven’t been able to do for a longtime. I also have more strength in my legs and can easily walk for 8 – 11 kilometers per day which I was unable to do previously due to back pain. I feel the training with Luke has also given me more energy, lifted my mood and made me feel more positive about life. 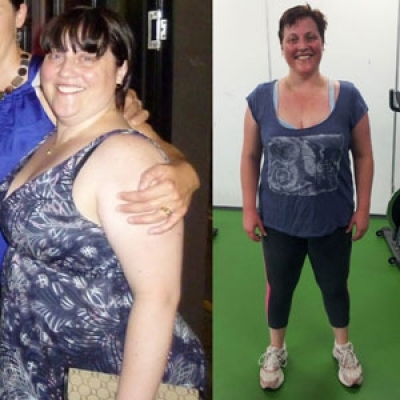 Stacey Transforms with Fantastic Results! New Training Methods Introduced, Results Achieved! 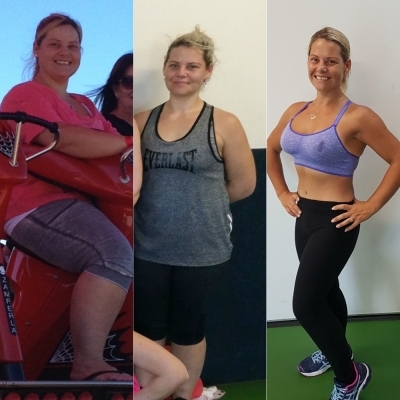 Sarah’s Fantastic Weight Loss Success! Making the decision to start training with Luke was the best decision I have made in my life. Before training I found the most simple of tasks like climbing a flight of stairs embarrassing as I was always out of breath. Almost straight away I noticed a difference in my appearance, health, mood, confidence and general well being. I started training just to lose weight but I have achieved and gained so much more. I have already lost over 20 kilograms and well on track to achieving my goal. Even after I reach my goal weight I will continue training as it truly makes you feel amazing! I had always been quite lean and gotten away with not eating the best and drinking quite a bit too. But living this unhealthy lifestyle had finally caught up with me as I had started putting on a bit around my waist. This led me to making changes with exercise and my diet even before training with Luke but to very little success. I thought it may have been my age but after training with Luke I realized that wasn’t the case and under his guidance and expertise I managed to lose those centimetres around my waist within a few months which I couldn’t believe considering the little success I had previously. Luke certainly knows his stuff. Thanks to him I ‘am feeling awesome and have actually got my chest back from when I was a young bloke. 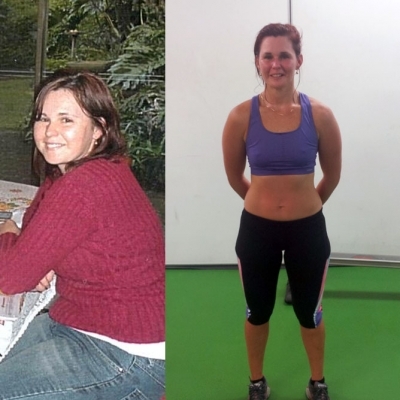 Sally Lost That Stubborn Body Fat That Just Wouldn’t Go! In the last 10 years I had put on some weight and noticed a decline in my fitness and vitality. 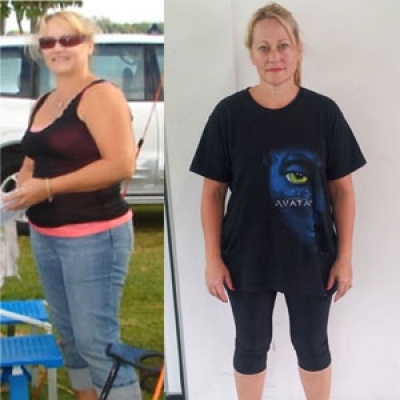 For about 18 months before seeing Luke I had tried many things to lose a few kilograms but it just wouldn’t move. I ‘am so glad I came across Luke because I really needed help as I was hitting a dead end. After first talking to Luke I could see where I was going wrong and it was mainly the exercise side of things I needed help with and a little nutrition advice. 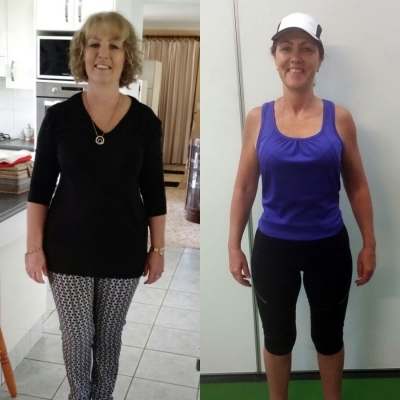 The exercise Luke introduced to me was something very different to me but it was just what I needed because in about 4 months I had lost the weight I wanted too and better still I know longer had flabby arms and could fit into clothes I hadn’t worn in along time. Mark Burned Up Those Last Few Kilograms! Luke has been my personal trainer for just over 2 years now and I’ve been absolutely amazed in not only losing the few kilograms I needed to lose but how strong I’ve become and have also put on muscle size which I ‘am very pleased about. I ‘am in my mid fifties and stronger than I have ever been in my life and I feel great. Once I lost those few kilograms that were lurking around for years it motivated me even more with training, eating right and being healthy. It’s been a great lifestyle change for me and I’ve enjoyed training under Luke’s expertise. Simone Was Finally Able To Tone Up Those Problem Areas! I was trying for some time to lose weight around my thighs and backside and was hitting a brick wall. So after being recommended to go see Luke from a friend I have never looked back. After making the changes I needed to and most importantly correcting my nutrition and doing the right exercises it only took a few months to see changes in my problem areas and tone them up. I would have been lost without Luke. Sally Achieves What She Wants! Luke has been my personal trainer for 2 years and in that time I have been very impressed with his knowledge, passion for the industry and ability to connect to others. My goals have been to tone up and get fitter and I have seen the results I was looking for. The workouts are always fun with variety which also keeps me motivated. His relaxed attitude but strict discipline keeps me focused and always looking forward to the next session. Kelly Tones Up & Gets Strong Fast! I started training with Luke to tone up, gain overall strength especially in my upper body and get fitter. Luke also introduced me to a range of interval training methods which drastically helped me get fitter and allowed me to start running which I started to enjoy. There has always been new exercise techniques and methods being introduced which kept it interesting and fun. I’ve learnt so much. Everything that we did was designed specifically for me. It didn’t take long for me to tone up, get stronger and increase my fitness. Without Luke’s help I would not have been able to achieve any of my goals. He has been a great support, with plenty of encouragement and expert advice. It’s been fantastic! I trained with Luke while I was back in Australia with a shoulder injury. Training with him fixed my should injury and got me back into the condition I needed to be in when returning to Europe. As a racing car driver there are certain strength and fitness aspects required to help with performance. After training with Luke there was a vast difference and improvement in these areas I wanted to improve on. After working with Luke for the last Twelve months on my strength and conditioning I have noticed a very significant increase in strength in my shoulders, back and arms. I’ve also achieved a massive improvement in my core strength and stability. Being a golfer these areas are vital to maintain correct posture and swing technique. These results have enabled me to hit the ball better and with more distance which is always a major plus for any golfer. Luke is enthusiastic, passionate, knowledgeable and a hardworking dedicated professional, whom I believe [would have to be] to be one of the best emerging professionals in the industry. Morningside Football Club employed Luke Wass as our strength & conditioning coach since 2007 - 2012. In that time Luke had to oversee the development of a list of 60 players aged from 16-32. All in all Luke has been involved in getting players to the Grand Final on 6 times since 2008. His dedication to the cause is above what is required and we have been fortunate to have him involved with our organisation.